Fifty-five years ago this Thursday, President John F. Kennedy was assassinated in Dallas, Texas, as the president’s motorcade traveled through Dealey Plaza. I recently visited Dealey Plaza and the former Texas School Book Depository building (now the Dallas County Administration Building) from which Lee Harvey Oswald shot Kennedy. As I rode the elevator to the sixth floor, where Oswald fired the fatal shots, people around me were still debating the assassination. Was it a lone gunman or a conspiracy? Oliver Stone’s 1991 film “JFK” did a huge disservice to the public by debunking the single gunman theory introduced by the Warren Commission Report. The film’s one positive influence was that public response to it led to the creation of the President John F. Kennedy Assassination Records Collection Act of 1992. This law mandated the release of records related to the death of the president after 25 years. As a result, approximately 99 percent of more than five million documents about JFK’s assassination are now available to the public, either in full or in partially redacted formats. The Trump administration has scheduled the release of the remaining 300 documents on October 26, 2021. When the Warren Commission Report was released in 1964, 87% of Americans believed Lee Harvey Oswald had acted alone. As of 2013, approximately 62 percent of Americans believed there was a conspiracy to kill President Kennedy. However, there is not a shred of solid evidence to support any of the estimated 311 distinct conspiracy theories. In addition, there have been at least 900 books dedicated to the Kennedy assassination and 95 percent of them are pro-conspiracy in nature. Obviously, conspiracy theories drive ratings, sell books and make money. The following material comes from numerous official investigations, including the FBI Investigation Report, the Warren Commission and the Church Committee Reports among others, which discredit many of the common conspiracy theories. Just six months before the Kennedy assassination, Oswald attempted to assassinate Army General Edwin A. Walker at his home. The bullet that was removed from the house was consistent with Oswald’s rifle, but could not be matched conclusively since the bullet was severely damaged. Oswald’s wife, Marina, later testified that her husband admitted to the assassination attempt. In addition to the attempt on General Walker’s life, a June 1964 declassified memo from FBI Director J. Edgar Hoover revealed that while on a trip to Mexico City just three weeks before the assassination, Oswald threatened to kill Kennedy. These acts indicate that another assassination attempt on a high-profile target, the president, would not be unreasonable. A document trail confirms that Oswald purchased a secondhand Italian M91/38 bolt-action Carcano rifle from Klein’s Sporting Goods in Chicago on March 13, 1962. Marina said Oswald wrapped the rifle in a blanket and stored it in the nearby garage of family friends, Ruth and Michael Paine. According to Oswald’s coworker Wes Frazier, Oswald brought a brown paper package to work the morning of the assassination, claiming it contained curtain rods. A brown paper bag of a similar size, containing Oswald’s fingerprint and palm print, was found on the sixth floor of the Depository. Investigations after the assassination concluded that Oswald had been in the Paines’ garage the night before the slaying. No curtain rods were found in the Depository or were missing from the Paine household. However, the rifle was missing from the blanket. Three 6.5 x 52 mm spent shell casings were found beside the sixth floor window after the assassination. In addition, a damaged bullet was recovered from the Parkland Hospital stretcher used by Governor Connally. Five bullet fragments were recovered from the presidential limousine after the assassination. Two of the bullet fragments were large enough to be tested. The shell casings, bullet and the two largest fragments were all matched to Oswald’s rifle by firearms experts. Oswald’s palm print was also found on the rifle. All investigations concluded that two shots hit the president from the rear and came from the direction of the sixth floor window of the Depository. The second shot to the head proved fatal. At least six independent commissions came to that conclusion. To believe there was a conspiracy to alter the medical or acoustics records, you would have to believe that all of these independent groups conspired together over a long span of several decades. One of the most discussed topics about the assassination was the movement of the president’s body after he was struck in the head by a bullet. 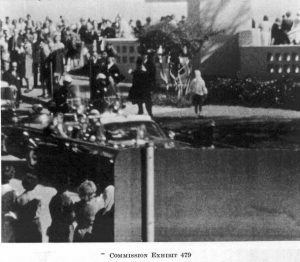 Many conspiracy theorists, including producer Stone, contend that since the president’s head moved back and to his left after impact, the shot must have come from the side and the grassy knoll area. However, multiple medical and ballistics experts stated that the movement of his body was due to nerve damage that was consistent with being struck from behind by a bullet. This conclusion is also supported by the president’s medical records, which clearly show the bullet entered from the rear. There is no physical evidence to suggest that the shots were fired from any other location, including the grassy knoll area. Was Oswald Capable of Making Long-Distance Kill Shots? Oswald, like all Marines at the time, received marksmanship instruction at 200, 300 and 500 yards with the standard-issue M1 rifle. All of those Marines were evaluated on the accuracy of 50 shots. 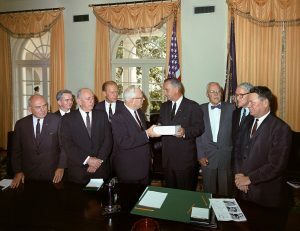 Four marksmanship experts testified before the Warren Commission that Oswald was capable of the level of marksmanship needed to perform the assassination. Although tests conducted for the Warren Commission were based on the assumption that Oswald utilized the rifle’s 4x scope, firearms experts advising the House Select Committee testified that based on the angle of the shots, it would have been easier to use the open sights on the rifle. The topic of “open sights” is important. Oswald was trained in the Marines with his M1 rifle using open sights and no scope. The longest of the three shots needed to assassinate President Kennedy was only 88 yards. Since a 4x scope makes targets appear four times closer, Oswald’s actual view through the crosshairs of his scope would have approximated a range of 15 to 22 yards. For someone trained at longer distances with open sights, shooting at the president from a distance of no more than 88 yards with a 4x scope would not have been difficult for Oswald. One last factor that could have affected Oswald’s marksmanship ability was the quality and accuracy of his rifle. There are differing opinions about its effectiveness. Although a fingerprint expert advising the Warren Commission referred to Oswald’s rifle as a “cheap old weapon,” tests concluded that it was accurate. To me, the timing is one of the most important aspects of the case. The amount of time Oswald had from his first shot to the third would likely affect his accuracy significantly. If Oswald’s first shot missed, which most experts believe was the case, the Warren Commission estimated the time between the first and third shot to be between 4.8 seconds and a bit longer than seven seconds. The Warren Commission did not reach a conclusion about exactly when the first shot was fired. Using the Zapruder film, the House Select Committee determined only that a minimum of two shots, spaced six seconds apart, were fired at the president’s limousine. However, both investigations used Frame 133 of the Zapruder film as the basis of the estimates. But what if the first shot was fired before Frame 133? There is eyewitness testimony to support this theory. Numerous witnesses testified there was a gap between the first and second shot, with the second and third shots closer together. The locations of the spent shell casings also support the long delay theory between shots one and two. Though this idea was not addressed by either the Warren Commission or the House Select Committee, the location of the shell casings is telling. One shell casing was found far to the right of the window while the other two were near each other and closer to the window. When a shell casing is ejected from the right side of a rifle, it typically travels perpendicular to the direction the weapon is aimed. If all three shots came in succession with the rifle pointed at a similar angle, they would likely have landed close to each other. The fact that one casing was much further to the right suggests the weapon was pointed perpendicular to the building during the first shot. That would be logical since it would provide a sniper with the closest distance to the target. The more a weapon faces to the right as it’s aimed at a target moving away, the farther the ejected casings will land from previous shots. Oswald had boxes behind him concealing the sniper’s nest. As Oswald turned his weapon to the right to follow his target for shots two and three, the ejected shell casing would have bounced off the boxes behind him. As a result, they would have landed close to each other. It’s surprising that neither investigation considered this evidence. 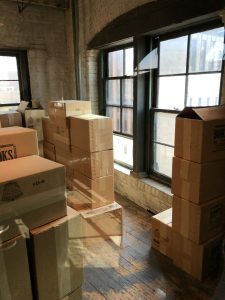 The area around the sixth-floor window at the Book Depository museum is enclosed in glass. However, at the end of our tour, we were allowed to visit the open area on the seventh floor. It is as close as you can get to the view Oswald had from the sixth floor. As I looked out the window at the “X” on the street representing the location of the president’s limousine at the time of the third shot, one thing became obvious. There are only two windows of opportunity for a sniper to shoot. Houston Street is eliminated since the limousine windshield would obstruct the target who was seated behind the driver and Texas Governor John Connally. The first shot opportunity came after the vehicle turned onto Elm Street in front of the Depository. After that, there is a traffic signal and large oak tree that obstruct the view of the street. The second window of opportunity opened after the vehicle reappears from under the tree. That is when I believe shots two and three were taken. Based on the evidence, I agree with those who estimate Oswald may have had as much as 11 seconds to fire three shots. For a skilled shooter such as Oswald, that would be plenty of time to accurately aim at his target for a second and third time while operating the bolt-action feature of the weapon. If there were multiple shooters or if Oswald was part of a conspiracy, it’s reasonable to assume that some credible evidence would have surfaced during the past 55 years. There are many conspiracy theories, but when evidence has been investigated, none of those theories has been substantiated. All scientific evidence and eyewitness testimony suggests that Lee Harvey Oswald acted alone in the assassination of President Kennedy. Perhaps the release of the remaining assassination documents will take us in a different direction. Dr. James Reese is the director of the undergraduate and graduate Sports Management programs at American Military University (AMU). As a personal interest, he has been studying the details of the assassination of President Kennedy for more than 30 years.